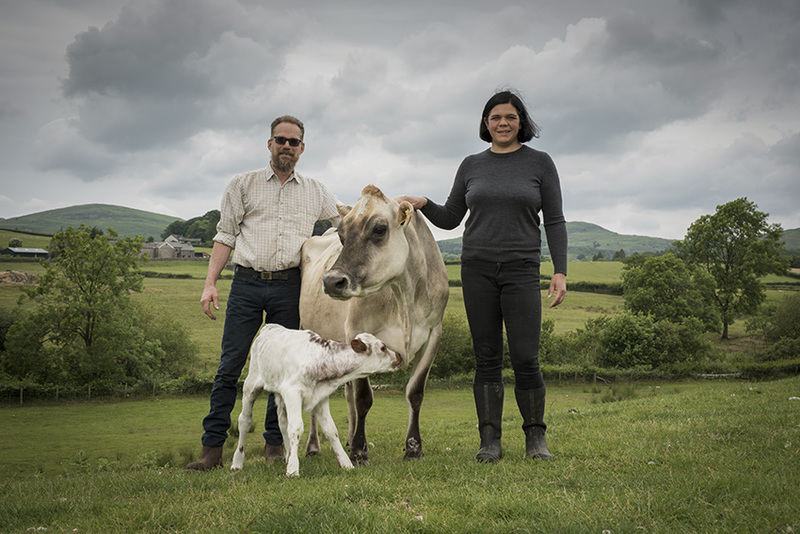 The Soap Dairy makes traditional Cold Process soap using Jersey milk from the farm’s dairy cow, what would traditionally be called a ‘house’ cow as she provides milk for her calf as well as the household. Most soap nowadays is made with palm oil. Palm oil is incredibly cheap and makes a hard, long lasting bar of soap, however, the environmental damage caused by palm oil production, led me to seek out alternatives. The oils I use instead are British cold pressed Rapeseed Oil from Mr. Hugh’s and Rice Bran oil, both great, nourishing oils. I also use Coconut oil which is an anti-bacterial cleansing oil. What was important when developing my soap recipes was that the soap was cleansing but not drying and did not irritate the skin. The combination of these three oils, as well as the creamy Jersey milk, does just that. John has very sensitive skin but of course being a farmer, he can get filthy! He tests all of my soaps and all of them clean him really well and none of them irritate his skin. We use creamy Jersey milk in all of our soaps. Our Jersey cow is called Honeysuckle. Unlike in most dairies, we leave Honeysuckle with her calf to rear herself. This is called a calf-at-foot system. She produces far too much milk to feed just one calf so she’s feeding three at the moment. The other two calves are from twins and the mums (they are beef cows and don’t produce as much milk as dairy cows) didn’t have enough milk to feed two calves, or the inclination! Honeysuckle naturally fed them without us putting any pressure on her. When we need milk for our coffee or for making soap, she lets us milk her using our portable milking machine.